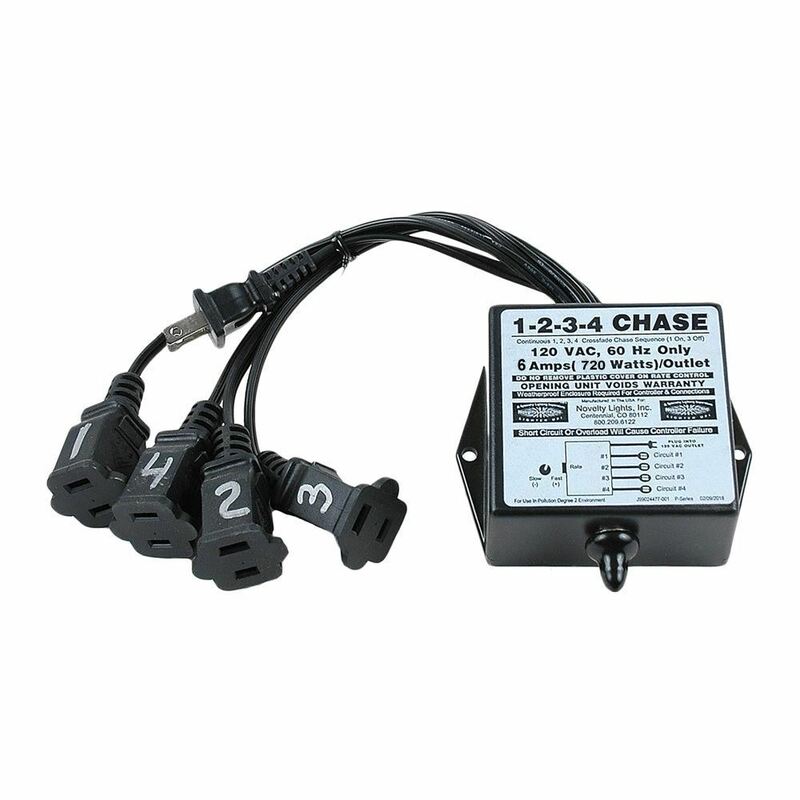 Our 6 Amp Chasing Controllers are designed to animate incandescent or LED lights for Christmas displays, marquees, or signs. 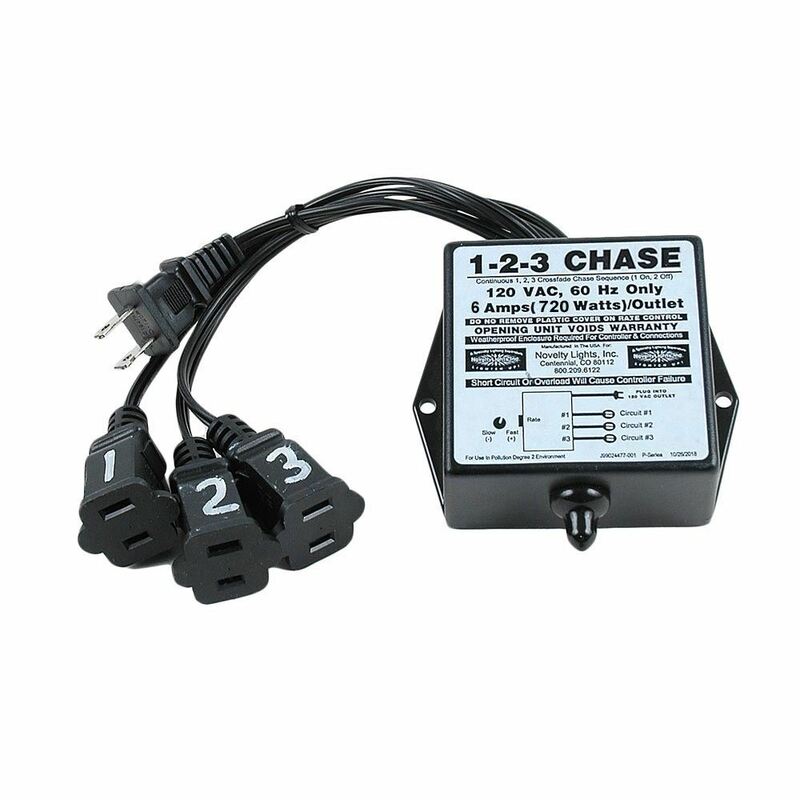 Our chasing controllers are available in 2-Channel and 4-Channel with 120v cord sets already attached. 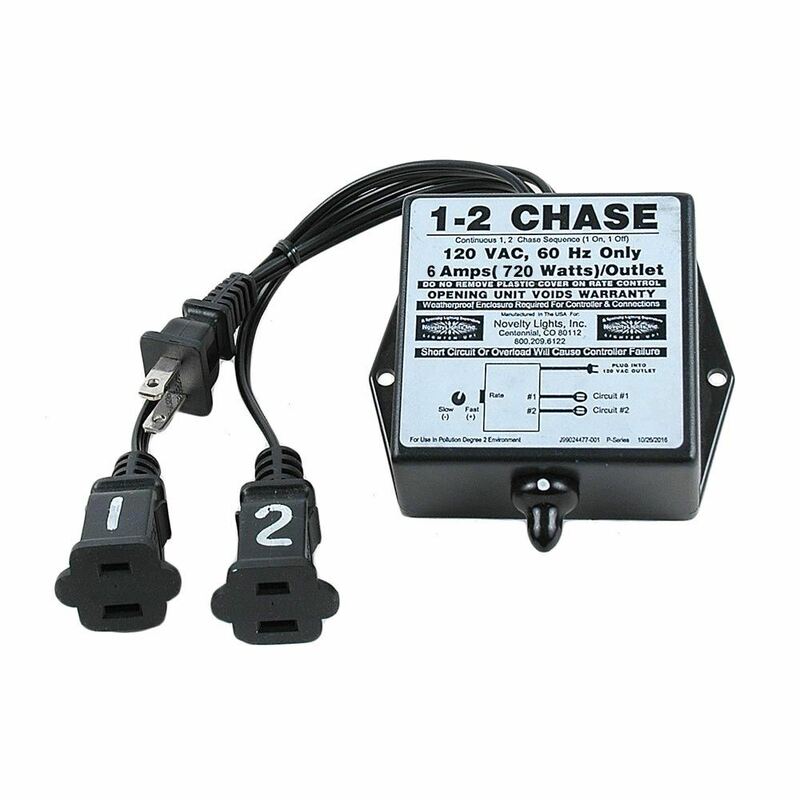 All chasers are 120V, solid state, U.S. made, and have a lifetime guarantee. These chasing controllers are used by Christmas decorating enthusiasts across the country to animate mini lights, C7/C9 bulbs, and rope lighting when creating unique, eye-catching holiday displays. We can also custom build chasing controllers to meet your needs. Please call us if you have any questions about how our chasers operate.